Rahway NJ Lawyers- Personal Injury, Criminal & Employment Law - Aiello, Harris, Marth, Tunnero & Schiffman, P.C. The Rahway attorneys of Aiello, Harris, Marth, Tunnero & Schiffman, P.C have been fighting for the legal rights of their clients for decades. Our lawyers and our staff of legal professionals take great pride in representing the citizens of Rahway in a variety of legal matters, including personal injury cases, criminal defense, real estate transactions, employment-related matters, and more. You can find a list of the practice areas we handle on our website. Through years of dedication and hard work, we have developed a team of attorneys, paralegals, and staff members who have extensive experience in the areas of law they practice. 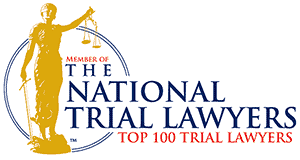 In addition, we have developed a network of industry experts and expert witnesses who assist us in investigating and researching cases. 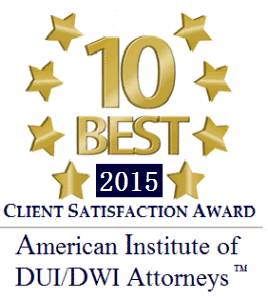 It is our goal to help you achieve the most positive outcome possible for your case. Our attorneys helped a client recover a $192,891 workers’ compensation settlement. In another case, an attorney with the firm secured at $375,000 jury verdict. 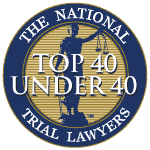 Lawyers from our firm are routinely featured on national and local news outlets including NBC, The Philadelphia Inquirer, CBSRadio, and The Record. Contact our office by calling (908) 561-5577 or by using the online contact form now to schedule a consultation with a Rahway attorney. If you are injured in a personal injury accident, finding an experienced attorney is one of the first steps you should take in filing an injury claim. Your attorney can protect your rights and protect you from aggressive insurance adjusters seeking to deny or undervalue your claim. Motor Vehicle Accidents — We handle a variety of traffic-related accidents. Types of motor vehicle accidents we handle include, automobile crashes, commercial vehicle accidents, motorcycle crashes, and accidents involving bicyclists and pedestrians. It is important to contact a Rahway car accident attorney as quickly as possible after your crash to discuss steps you need to take to recover compensation for your injuries. 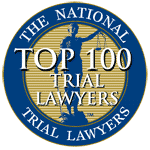 Wrongful Death Claims — If a person is killed because of the negligence or wrongful acts of another person, the family may be entitled to compensation under New Jersey’s wrongful death laws. Your time to file a claim is limited. Therefore, you need to contact our Rahway wrongful death attorneys now to discuss your claim. Nursing Home Abuse— Unfortunately, thousands of nursing home patients are the victims of nursing home abuse and elder neglect. Our Rahway nursing home abuse attorneys can help you seek justice for your loved one. 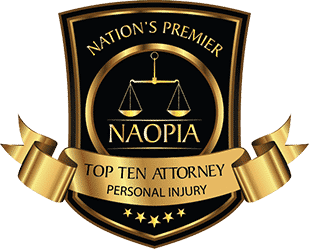 Other Personal Injury Cases — We handle a wide variety of personal injury claims, including dog bites, medical malpractice, slip and fall claims, and product liability claims. View a complete list on the personal injury page on our website. For a free case review, call (908) 561-5577 or use our online contact form to request more information. Criminal defense is an important right that you have when you are charged with a crime in New Jersey. Our Rahway criminal defense attorney can investigate the charges against you to ensure your legal rights have not been violated. DWI and DUI Arrests— We handle all types of DWI and DUI cases for Rahway drivers. Do not risk losing your driving privileges and serving time in jail by agreeing to a plea bargain without consulting with an experienced New Jersey DUI attorney. Weapons Offenses— The right to own and possess firearms is a constitutional right. Before you allow the courts to take this important right away from you, you should call our office to discuss your weapons charges with a Rahway criminal defense lawyer. Crimes Involving Drugs— Controlled substance violations carry significant penalties if you are convicted. Even a simple possession charge can have severe negative consequences. Do not take any drug charge lightly. Call a New Jersey drug crimes defense attorney for help. Our criminal defense team can help you with a variety of criminal charges, including assault, felony charges, distracted driving, and perjury. Visit our criminal defense webpage or call (908) 561-5577 for more information. Immigration Issues— Obtaining a VISA or dealing with deportation matters can be very stressful. Employers must also ensure they are in compliance with immigration laws. Our team of Rahway immigration attorneys can help with a variety of immigration issues. Harassment and Discrimination— There is no place for discrimination or harassment in the workplace. If you are a victim of workplace discrimination or harassment in the workplace, we can help. For employers accused of discrimination or harassment, our lawyers can help develop a defense to the charges. Whistleblower Discrimination— It is illegal for an employer to retaliate against an employee who reports wrongdoing. If you need to report wrongdoing in your company, our Rahway labor law attorneys can help ensure your legal rights are not violated. Other Employment Issues — We handle many different types of employment-related matters. For a detailed list of cases we handle, you can visit the employment law section of our website or call (908) 561-5577 for additional information. If you have a legal matter that you need assistance with, we urge you to contact our law firm to discuss your situation with an experienced Rahway attorney; we’re a short distance away at our Woodbridge office. If you have questions about the various areas of law our firm handles, you can also read the information on our practice areas page. 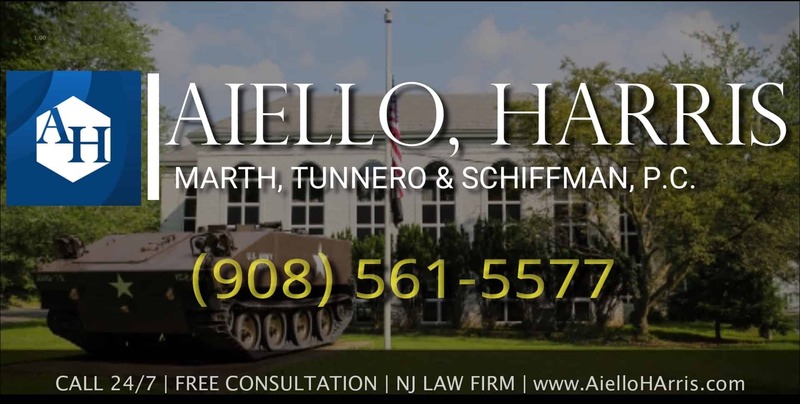 You may reach Aiello, Harris, Marth, Tunnero & Schiffman, P.C by telephone at (908) 561-5577 or online by using the contact form on our website. Rahway was originally the outlying areas of the Woodbridge and Elizabethtown settlements. In 1804, residents of the area met at John Anderson’s Tavern (currently known as the Merchants and Drovers) to formally create Rahway Township. The city was not formally incorporated until 1858. The area was popular for companies engaged in manufacturing. Rahway is now home to several giant manufacturers including Merck, Regina, and Wheatena. The City of Rahway is about 15 miles southwest of Manhattan in Union County, NJ. City residents can utilize the New Jersey Turnpike and the Garden State Parkway to travel to nearby areas. Both major thoroughfares are located just two miles from the city. Most of the city consists of neighborhoods and residential areas. However, several areas are zoned for industrial and commercial use.